Like the other coastal neighborhoods around Ballard, such as North Beach and Blue Ridge, Sunset Hill is a quiet, reserved area, though more casual in appearance and design than the neighborhoods immediately north. You can smell the salt water drifting from the lively marinas and docks below, though only the westernmost homes will enjoy a direct view of Shilshole Bay. It forms a quiet pocket of residences that vary widely in size and design, occupied mostly by older couples and small families. 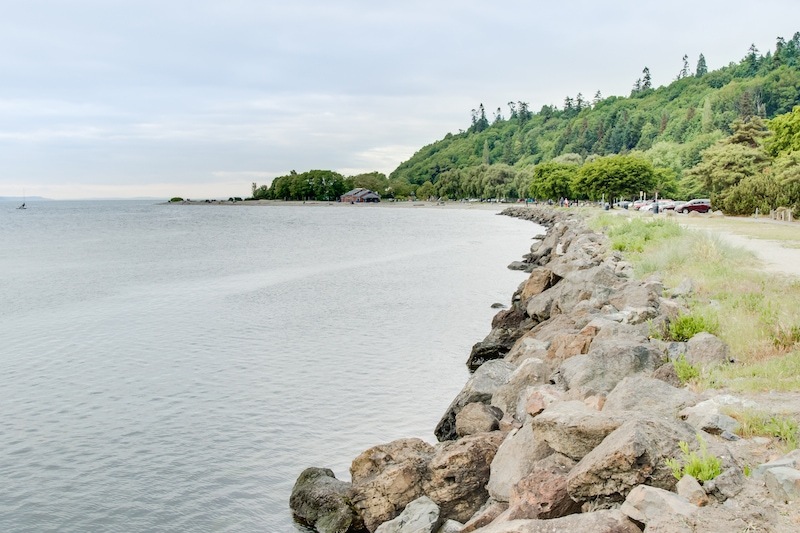 Residents enjoy easy access to Golden Gardens Park, Shilshole Marina and, of course, central Ballard, where dining and shopping options abound. Ballard Public Green Market: A locally owned and run grocery and deli specializing in fresh, organic and seasonal foods. Caffè Fiore: A rustic cafe located just at the top of Golden Gardens Park, specializing in organic coffees. Golden Gardens: One of Seattle's most beloved parks, featuring picnic sites, hiking trails, volleyball nets, sand and surf. Ray's Boathouse: A local icon serving the freshest seafood in a boathouse with indoor and outdoor seating right on Puget Sound. Ristorante Picolino's: Bakery, gardens, Italian cuisine...and a gorgeous bar, decorated with artisanal, old-world charm.